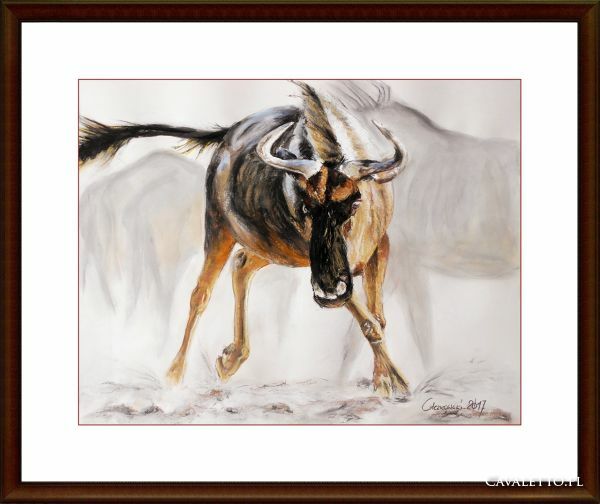 Gnus, or wildebeests, are large African antelopes. 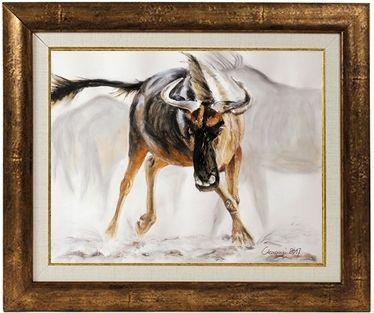 Gnus (pronounced like news) are closely related to cattle, goats and sheep. 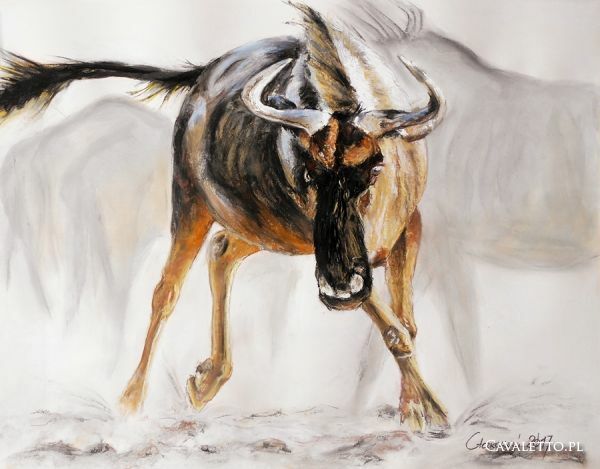 These animals look like thin, muscular cows with large, sloping backs, curved horns and striped bodies. They also have manes and bushy beards.